Canalology 2014 was a day-long festival organised by POST Artists’ Network along the banks of the Lea Valley canal way between Markfield Park and Stonebridge Lock, Tottenham. The festival was conceived as a reflective and locally relevant site specific response to the area. A new essay from writer and curator Emma Leach discusses her experience of visiting Canalology, introducing all works in the exhibition. The video below documents the fourteen artworks developed along the waterway, which in different ways connect the canal with the character, people, history and future of Tottenham. It features depictions of the works in situ, interviews with the artists and interactions between the works, artists and public. Canalology legacy draft 7 from Samantha Penn on Vimeo. Artists: Gwen Bajon, James Capper, Olga Koroleva, Fiona Long, Rebecca Leach, Ilka Leukefeld, Samantha Penn, Jenny Rolfe Herbert, Natasha Vicars, Helena Wee, Mary Yacoob, AtelierFraSe and the Unasked-for Public Art Agency (Pippa Koszerek, Marco Cali, Aliki Kylika). 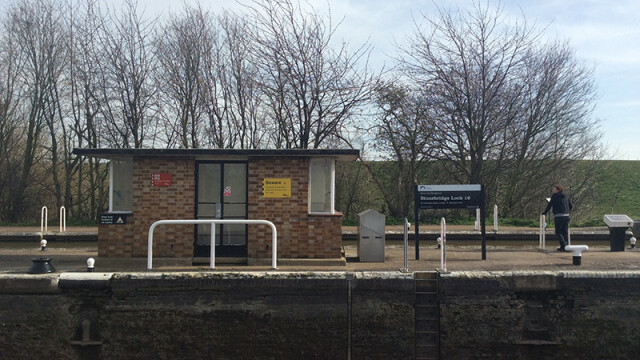 Image: Olga Koroleva, Stonebridge Lock, 2014. Canalology was supported by Arts Council England.